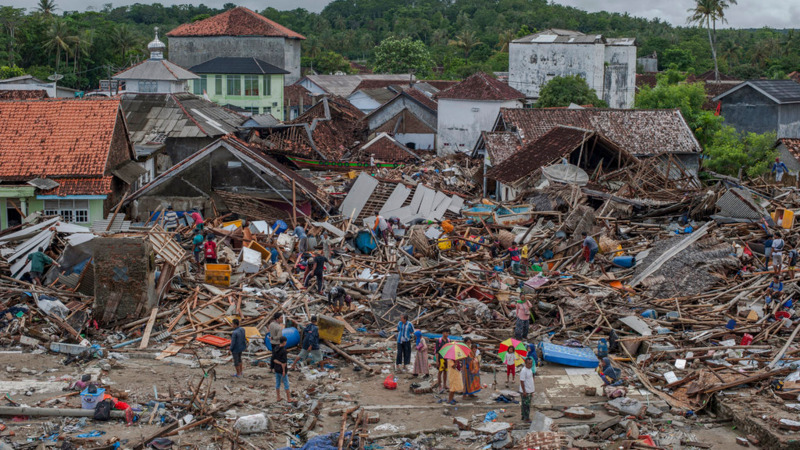 People inspect the damage at a tsunami-ravaged village in Sumur, Indonesia, Monday, Dec. 24, 2018. 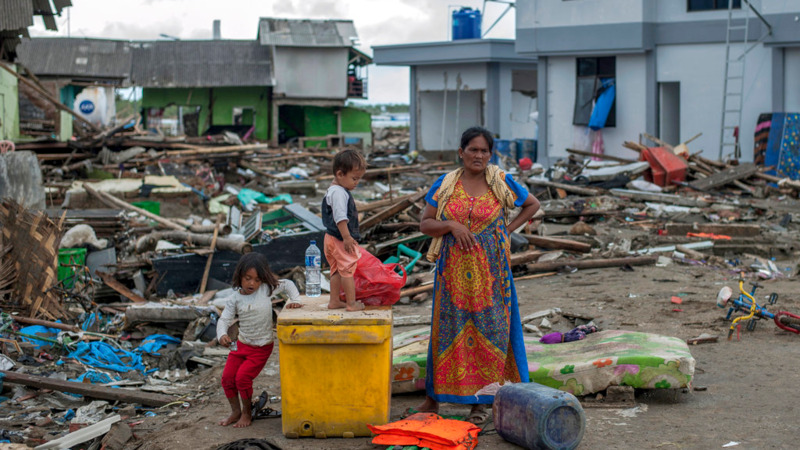 Doctors are working to help survivors and rescuers are looking for more victims from a deadly tsunami that smashed into beachside buildings along an Indonesian strait. Scientists, including those from Indonesia's Meteorology and Geophysics agency, said the tsunami could have been caused by landslides — either above ground or underwater — on the steep slope of the erupting volcano. 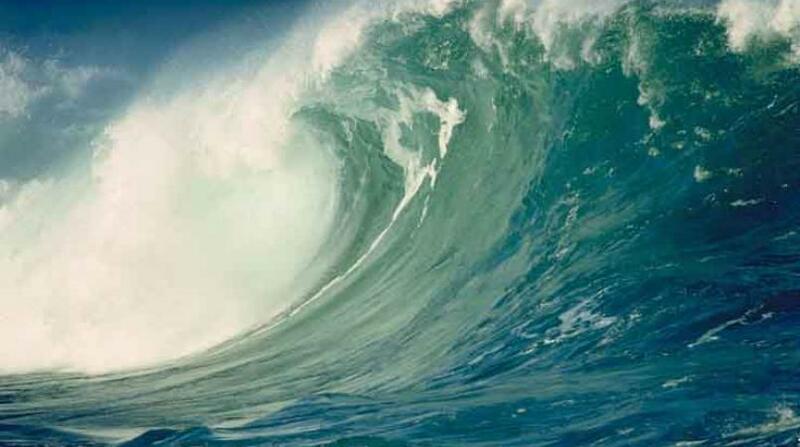 The scientists also cited tidal waves caused by the full moon. Gegar Prasetya, co-founder of the Tsunami Research Center Indonesia, said the tsunami was likely caused by a flank collapse — when a big section of a volcano's slope gives way. 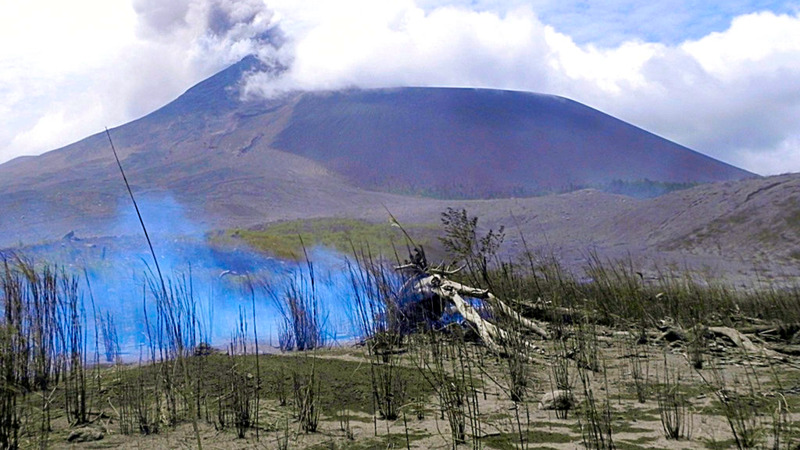 It's possible for an eruption to trigger a landslide above ground or beneath the ocean, both capable of producing waves, he said.